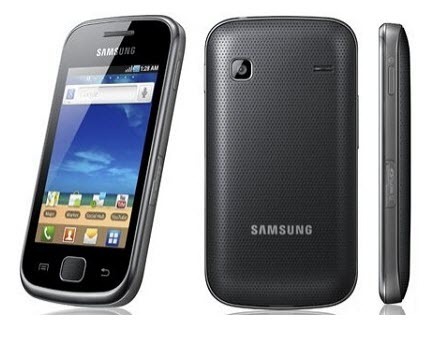 Samsung released the official Value Pack for Samsung Galaxy GIO S5660 android smartphone. This value pack has been dubbed as XXKTL Gingerbread 2.3.6 firmware version. Unfortunately this value pack do not contain any Ice Cream Sandwich (ICS) or Jellybean 4.1.1 officially released by Samsung but full credits will goes to the developers who are trying harder to come up with the supported version of ICS or Jellybean. Please make a note that Samsung officially released this firmware only in the selected countries not in the all countries. So, just in case if your phone is not a network locked device and is a open device, then try this update by following the instructions which we have given below. Applying this update will in no manner root the device and also one of the best part of this update is just in case if your device is rooted and installed with custom ROM, this firmware will unroot the device and your warranty will be restored. Enable the USB Debugging in your Samsung Galaxy GIO S5660 by following the path “Settings > Applications > Development > USB debugging”. So, once you have done all the above mentioned instructions you can now head over to the next step where we summed up a detailed tutorial on how to apply this firmware update in your Samsung Galaxy GIO S5660 android smartphone. First download the Value Pack XXKTL 2.3.6 Package and Odin Pack for S5660 from here to your computer. Once downloaded, open Odin in your computer and extract the XXKTL Firmware Package contents in your computer, preferably to the desktop. Open Odin in your computer and turn off your phone so that it can be entered in the Download Mode. To enter into the download mode you need to hold the Volume Down button + Home key button (i.e the middle button). While holding these both buttons, you need to SWITCH ON your device. After that connect your phone to the computer with the help of USB cable and then you will see that the ID : COM section will turn Yellow indicating that all the drivers have been installed and you are ready to proceed to the next step. Now, in Odin click on “OPS” to select “GIO_v1.0.ops” and then at the bottom of the Odin, click on “One Package” and select “S5660XXKTL_S5660XXKT7_S5660DBTKT1_HOME.tar.md5” file which you have extracted in the initial step. Once you have selected the files, click on the “Start” option to start the process of firmware update. As soon as the update is applied successfully, the device will be restarted. Please make a note that it will take longer time than the expected time to update the firmware process. With the help of progress bar in your phone, you can track the progress of firmware update. NOTE : Suppose, if your Samsung Galaxy GIO S5660 device gets into the boot loop sequence or say gets stuck in the welcome screen, just re insert the battery and re follow the all above mentioned instructions. Congratulations! now you have successfully learnt on how to apply this Value Pack Gingerbread 2.3.6 firmware in your Samsung Galaxy GIO S5660 device.